Fiberglass Fly Rods. 20'th Anniversary Edition. 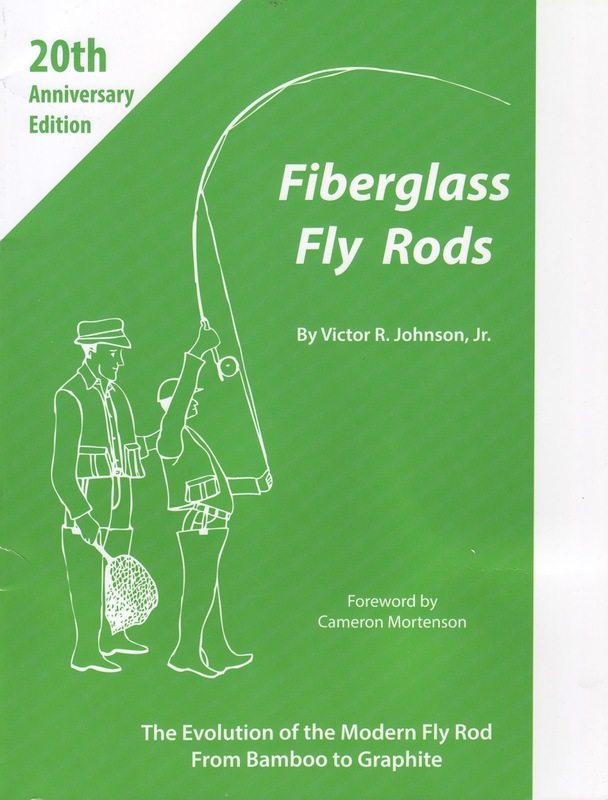 "My first book was called Fiberglass Fly Rods and it was released in 1996. It was written by my father and me as we enjoyed fishing fiberglass fly rods and felt the new graphite rods were too stiff. To be honest, we felt the book was not going to be commercially successful as everyone wanted the new graphite rods. That feeling proved to be correct and we had a hard time selling all our books for $19.95. In the period since 1996, the world has rediscovered the joy of fishing fiberglass fly rods. Now, my first book sells used for several hundred dollars on Amazon (but unfortunately I do not have any left). 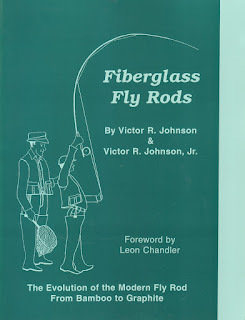 I have been asked by many of my 4000 readers to write a 20 year update on Fiberglass Fly Rods, wich I am currently doing. A number of people have spoken favorably about your fiberglass rods (i.e., Shane Gray, Dusty Smith, etc)." I was extremely honored to find out that Victor wanted to write a chapter about me and my rods so he sent me an interview. One year later, the book was released and I received two copies of it. 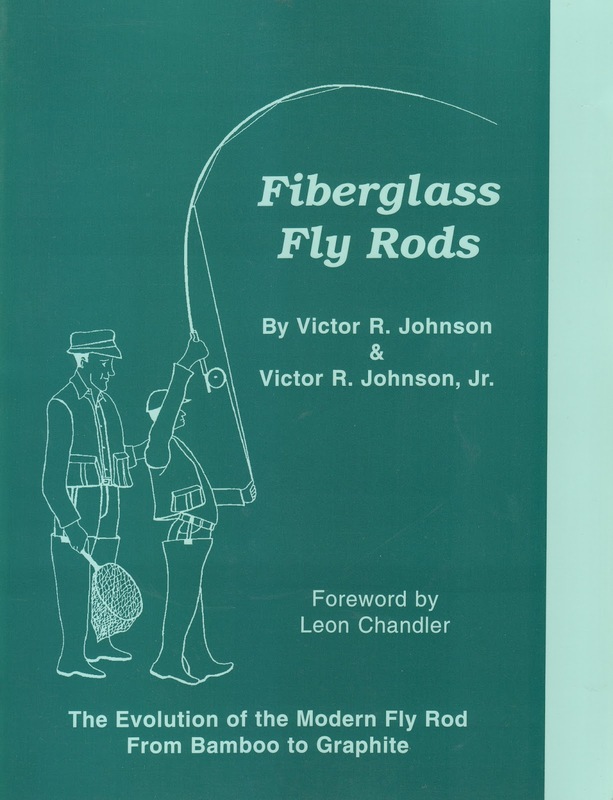 The book contains valuable information about fiberglass fly rods and the history behind them along with profiles of contemporary rod builders. A wealth of knowledge. To be featured among american living legends like Tom Morgan and Mark Steffen and also fellow colleagues like Shane Gray, Christian Horgren, Yasuyuki Kabuto, Zeb Tonkavich, Chris Barclay, Carl McNeil and many others was very cool and a privilege. Of course, Cameron nailed it on the foreword and his experience with fiberglass fly rods is immense. I want to very much thank Victor Johnson for the consideration and for including me in his wonderful book and everyone that recommended me and that have been part of writing this book. I am sure many other builders that have not been featured in the book, very much deserve it. If you want to add this book to your library, please check Victor Johnson's website and contact him directly to receive a copy. Here is a beautiful Epic 590 carbon build I've finished a week ago. The blank was built in presentation grade and is one of the most sought after new rods available. A sweet finesse medium-fast action and fast recovery speed, very light weight with lots of power for that big trout on dry fly. Comes in a classic design with the blank having a spiraled unsanded finish. I turned a beautiful western style grip form the best cork available. The beautiful black anodised uplocking reel seat with amboyna wood (turned in house), the new Snake Brand ECOting snake guides have a gorgeous vintage patina (the most beautiful guides I've ever seen) and the amber agate guide wrapped in dark gold japanese silk coupled with my utmost attention to detail tops them all in a classy combination . This rod was made on order with free choice on cosmetics. Thanks for looking!